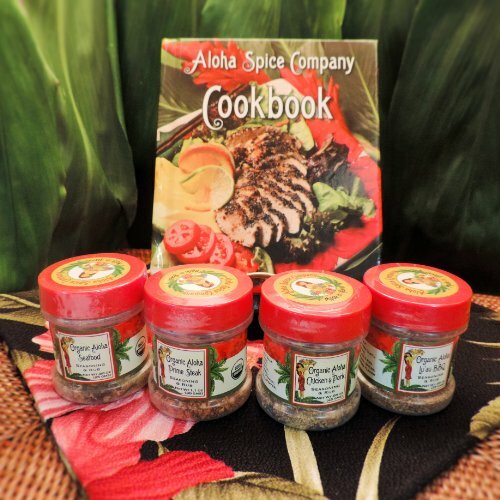 Set of (4) of our Organic Seasonings and Rubs and the Aloha Spice Company Cookbook. (1) of each Aloha Luau BBQ, Aloha Chicken & Pork, Aloha Seafood and Aloha Prime Steak. These are USDA certified Organic Rubs and Seasonings that are made in Hawaii with Aloha in small batches using only the finest ingredients.